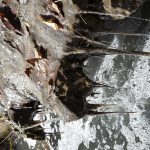 Numerous federal reports, regional studies, and state and local conservation organizations recognize increased sedimentation from non-point source pollution, primarily from development in the upper Cahaba basin, as the primary threat to water quality and species diversity in the Cahaba River. When surface sediments are disturbed during construction activities, nutrients often follow sediments in runoff. Sedimentation reduces available dissolved oxygen and the runoff of nutrients increases algae bloom; both types of runoff add to the assault on species survival. 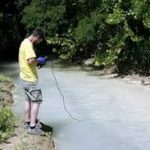 In 2002, the U.S. Environmental Protection Agency (EPA) documented findings that sedimentation and nutrient loading were adversely affecting the biology of the Cahaba.17 There has been on official survey in the ensuing years. Since 2002, numerous instances of sedimentation disturbance have occurred in the Cahaba, especially in the headwaters of the watershed where development is increasing. 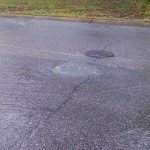 After a sufficient rain (>0.50 inches) in the headwaters, the river at the Highway 280 bridge crossing often requires five to seven days to recover from turbid conditions. As a result of the persistent lack of enforcement of clean water laws by ADEM, many private citizens have turned to the legal system for relief from the impacts on their enjoyment of the Cahaba River, costing both plaintiffs and defendants money and resources. Some non-profit conservation organizations, Cahaba Riverkeeper among them, actively advocate against adverse sedimentation and turbidity impacts from construction in the upper Cahaba. Cahaba Riverkeeper also advocates for ADEM reform and tighter EPA oversight for the administration of Alabama’s water quality enforcement program.